I hesitated regarding the title of this blog, because I feared it was a little too Southern, but honestly, I know you know what I mean by saying “Mama Stories.” With Mother’s Day coming up soon, we all recall our favorite Mama Stories; those gems of fond memories where we remember our own Mama’s or Grand-mama’s, or even kinda-like-my-Mama’s stories of love, compassion, tolerance, caring, and even humorous events. These stories have shaped our lives and even our own ways of parenting. They help us look back on what seemed like simpler times and keep our loved one’s memories alive. 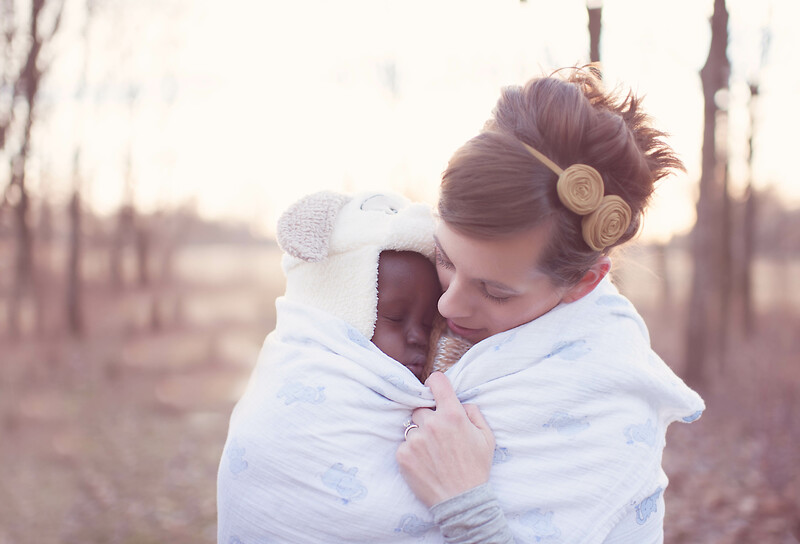 The newer Mama Stories allow us to affectionately appreciate those people in our life who make a difference. They help us to appreciate Mother’s Day even more! I want to share a few of my Mama Stories with you. My Mama was a Southern lady who raised five children, most of that time after my father passed away from cancer. She was strong, tolerant of the complexities of parenthood (on most occasions) and a caring parent. Although she has since passed, her legacy lives on in the Mama Stories of myself and my siblings. Towards the end of her life, she had many medical concerns, just one of those being attending renal dialysis three times per week. Mama had lost a great deal of weight, which was significant since she was little to begin with, but she still insisted on walking as long as she was able. One Saturday, my husband, daughter and I were bringing her home from dialysis, and as she stepped up on our front porch holding tightly to her walker, her pants fell all the way down to her ankles. There she stood on our front porch in all her naked glory! With calm unembarrassed language, she exclaimed “Oh no, my pants fell down,” and she, along with the rest of us, began laughing so hard that we all became delirious with amusement. That was the most any of us had laughed in so long, due to the stress of her medical issues, that the memory of it still brings joy to my heart thinking of her. When we were kids, my brothers took many liberties with her parenting. One of my brothers was especially “curious” and he ended up doing so many unusual things in his childhood—way too many to mention here. He was, and still is, a friendly sort, and talks to everyone with whom he comes in contact. One summer, a small circus visited our area complete with animals. Imagine our surprise when we found a baby elephant in our backyard! As kids, we thought it was great but as a parent, my Mama became unglued- not worrying where it came from, but how we were going to afford to feed it. That was the lecture; how to feed it! It reminds me that Mama could cope with just about anything, would love anyone or anything that became “family”, but also had the stress of feeding a large family on her meager income. She was a tolerant lady, to say the least. My Nannie was also deeply Southern and hands down the best cook in seven states at the time. She and my Grand Daddy had operated several restaurants until his death, and they all ran successfully with her amazing recipes. My Nannie had moved in with us several years before my Daddy passed away, and she became my confidant, friend, parent, and teacher of so much. I truly adored her and cannot even imagine my childhood without her. Due to the aforementioned five children, extended family members, friends and friends of friends, and neighborhood folks, we never had less than 15-20 people eating meals at our house at any given time. Yep, she was that good of a cook! Big holidays included the preparation of a supersized ham, usually done the night before. It would sit in this huge iron pan on top of the stove whose lid handle had long ago broken off and had been replaced by heavy duty wire so it could still be lifted. Iron makes noise and the handle was wobbly, for sure, and even the most proficient and talented sleuth could not lift that lid and steal a sample of that baked ham goodness without my Nannie yelling from the closed door of her bedroom “Quit picking at the ham!” Lord knows we tried; we were always astonished that she had such radar! It actually became a challenge for all of us to see if it could be done without Nannie noticing and nope, it never was. Even now, when we have ham at family gatherings, my siblings and I snip at each other “Quit picking at the ham.” Simpler and happy times! My Aunt Lucy was in her mid-nineties when she passed away a couple of years ago. A second Mama to me, we visited her every time we returned to Tennessee. On one of our last visits with her at her home with several other family members, my pregnant daughter was with me. She was anxiously talking about the baby, their plans and ideas about a name. She told everyone that she had picked Fiona for a first name but was still contemplating the middle name. Lorraine, my Mama’s name, was announced her first choice. About that time and clearly out of nowhere, my tiny frail Aunt perked up and joined the conversation saying loudly “Well, Lucy is a nice name too.” It cracked everyone up because not only could she barely hear us but she knew that Lorraine was her sister’s name; still, by gosh, she was gonna push “Lucy”! Loved that lady! The here and now is ablaze with so many new Mama stories, especially since I get to watch my daughter become a wonderful Mama to her little girl. Fiona was born two months premature and had a few medical complications, but Ashlee and Colin persisted compassionately. It fills my heart to have watched her deal with a hemangioma on Fi’s little leg during her first year of life, which turned into a severe medical concern. Under the great care of experienced physicians and specialists, Ashlee learned to treat it at home, twice daily, but unfortunately it caused her baby excruciating pain. They got it down to a science, doing it quickly and expertly, but Fi’s painful and agonizing cries would still fill the air. I would watch and often assist as my beautiful daughter would skillfully change the bandage and treat the wound with large crocodile tears running down her own face, her eyes swollen with the pain of her daughter’s sobs. Still, she persisted, with love and compassion in every movement, and then spent time hugging and cuddling Fi once it was complete. Still, Ashlee’s tears flowed knowing something she had done had caused Fi so much pain. I am so proud of her for being such a good Mama. It warms my heart to know she cares so deeply for her baby. What are some of your favorite Mama Stories? I know you have them. Whether funny or compassionate or tearful or full of love, these are the stories you will emulate, bring up at family gatherings and remember for a lifetime. Share them! Enjoy them! Embrace them! As an adoptive parent, you can give your child some of your history and help welcome him or her more fully into your family by telling these stories to them. Your history will become their memories, too. To all the Mamas, Grand-Mamas, kind-of-like Mamas, and adoptive Mamas , MLJ Adoptions wishes you a happy and loving Mother’s Day. And, in case you are wondering, my brother had to ride the baby elephant back to the circus guy.